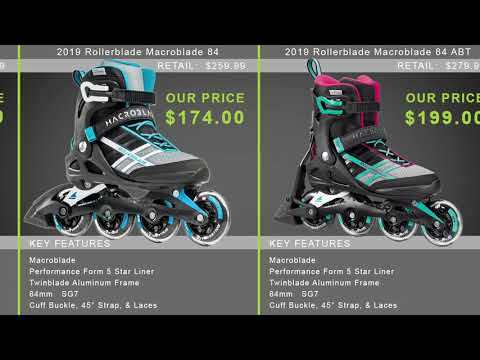 The Rollerblade Macroblade 84 ABT Inline Skates are great performance recreational skates when you want something more than just to cruise around. 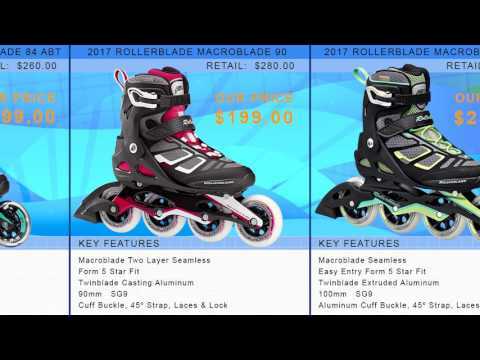 These skates have lots of great features to keep you comfortable, rolling fast and performing at your best. The Aluminum Frame is going to be great at transferring energy from each stride down to the 84mm wheels. These wheels are great for recreational use and they can get you going at high speeds and maintain that speed. The liner inside is a Performance Form 5 Star Fit liner which will help conform the liner to your foot so that you have the ultimate in comfort. The high cuff will give you plenty of support and, when locked in with the cuff buckle and 45 degree strap, you'll have a secure fit and feel. Q: Are these the only sizes you have, and will you be getting more-I don't see my size as an option. Also, how do these skates fit narrower feet? A: Rollerblade skates are a fairly standard width and are not available in a wide or a narrow. You can personalize your fit with an aftermarket footbed. For a specific size that is not currently available please contact customer service and they can look into special ordering that size if available. 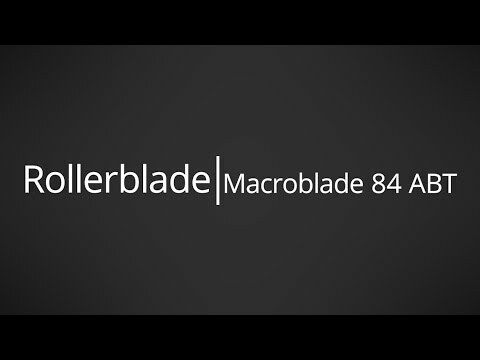 A: If there is any difference in height it's minimal, this skate is essentially the same as the Macroblade 84 but has been outfitted with the ABT brake system. The boot is the same and the cuff has been mildly modified to attach the brake. A: These skates are going to be sized the same as your everyday shoe size. So if you wear a size 7 in your everyday shoes you will want to get these in the same size. Q: What kind of speed are these skates built for? There isn't any specifications given in the details. A: The rating on these would be "fast" as they offer an 84mm wheel and an SG7 bearing. The SG7 bearing is comparable to an ABEC 7 bearing and will offer great smoothness and speed. A: You can but you will need to specially order a shorter axle from Rollerblade which will work on the last rear wheel with the brake removed. 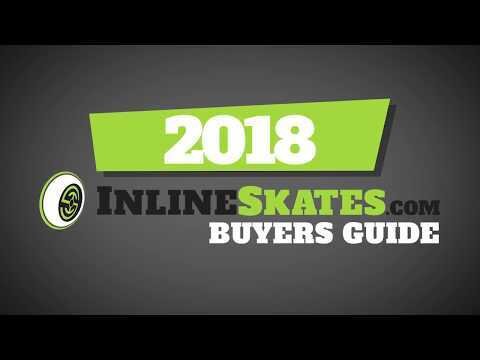 Contact Customer Service at 888-421-6836 and they'd be more than happy to take care of your order and make sure you get the correct axle to get you skating brake free.